I've been marketing technology products for a long time, and can understand the appeal of offering customers a choice: they can purchase the application through an on-premise license or if they prefer, through a software-as-a-service subscription. "Choice," "flexibility," "freedom": all very positive and potent selling points. It makes good sense on the surface. The customer simply wants to solve a business problem - manage customer relationships, automate procurement, process expense reports, etc. Let them buy the solution in whatever way is most comfortable for them. Why impede their purchase by forcing them toward a single delivery mechanism? If it was only a matter of the "delivery mechanism," offering both options - on-premise or SaaS - would be much simpler. "Paper or plastic," either way the customer gets to use the application. I've seen the lessons on the marketing differences first-hand. The company has a well-established on-premise solution and is adopting a software-as-a-service model. Marketing's role? Add the advantages of SaaS to the list of product features, update the web site and the collateral, and we're done. The error began to dawn on me the first time (OK, maybe the third time) a sales rep asked for marketing material to help gain the support of the CIO. I thought we were avoiding the CIO with our SaaS offering! And then Legal needed help to explain the subscription contract terms. And the folks in customer care wanted to keep existing customers informed of new product enhancements. 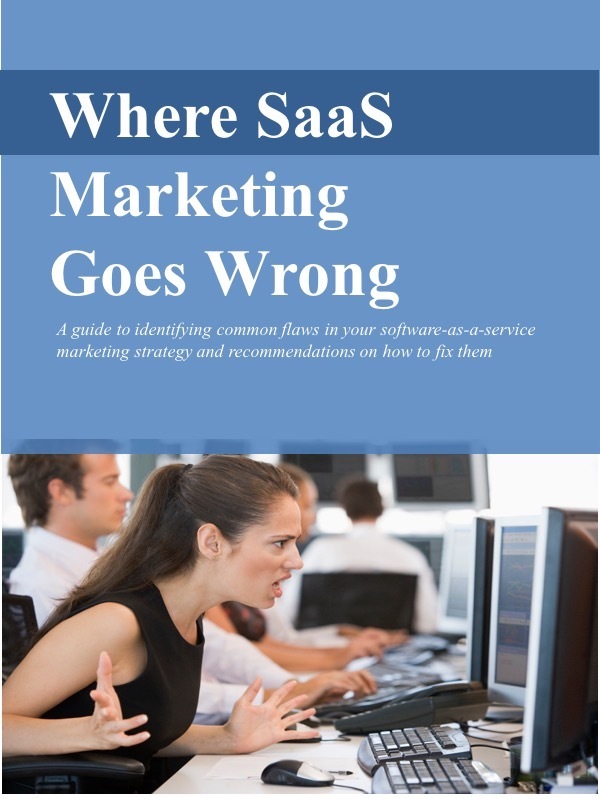 And so on, until a light went on: Marketing a SaaS solution is more than a few tweaks to what we'd done to market the on-premise solution. And I'm only talking about the changes in marketing. Play this out with Legal, Finance, Operations, Development, and Support. And then think about the challenges of supporting both a SaaS and an on-premise option. To make this even more complicated, some vendors even offer customers the option of switching between the two models at their convenience. I give great credit to the vendors who go down this path, and can see the appeal to customers. But these vendors should understand that they're running two virtually separate businesses. I'm reminded of an instance of choice gone too far, this from the much tastier world beyond technology. I brought a couple of friends from Spain to Lizzy's Ice Cream. They gaped at the 30' blackboard of options mounted behind the counter: Three columns of flavors, 18 different mix-in's, a dozen toppings, plus yogurt, sherbet, and tofutti. At first, they were delighted. But after a moment, their delight morphed into confusion, then anxiety, and finally desperation. Too many choices. I don't recall if they bought anything more exotic than a scoop of vanilla, but I do remember that they suffered an ice cream headache even before they ate the ice cream!